“Our” Story: 400 Years of Wampanoag History is a multi-media exhibit that illuminates America’s earliest beginnings from the Wampanoag perspective—a voice largely silenced in the colonial narrative. 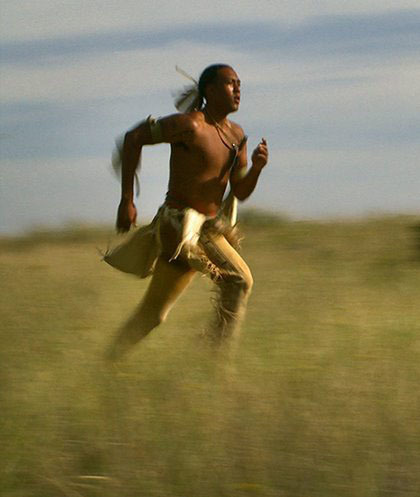 The Wampanoag have lived in southeastern Massachusetts for more than 12,000 years and were the first tribe encountered by the passengers of the Mayflower. This exhibit explores themes of connection and communication, tragedy and loss, celebration and community—themes that echo throughout Wampanoag history and culture. Join us for a special reception as we mark the Boston debut of this traveling exhibit. Hear a Wampanoag hand-drummer perform, enjoy New England clam chowder and corn bread, and experience 400 years of Wampanoag history. Exhibit sponsored by Plymouth 400, Inc.